G & C Dixey of London Mahogany Waywiser Mid Victorian - Height 54in. 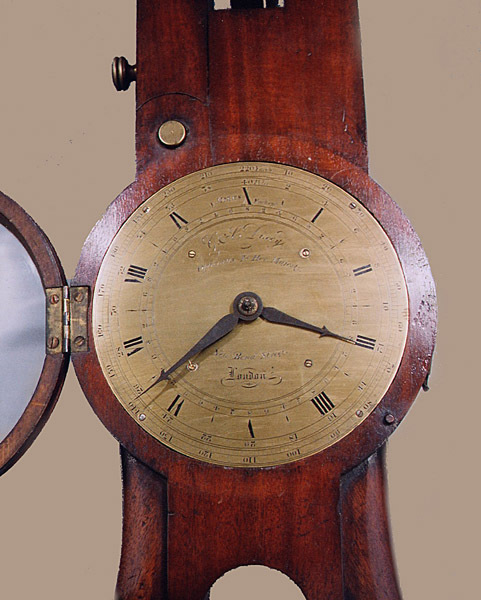 This Other clocks and instruments Archive's Maker - G & C Dixey, New Bond Street, London. 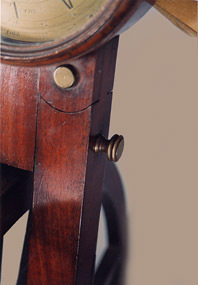 This is a mahogany Waywiser, a distance measuring instrument, in this case the "deluxe" version, with demountable wheel for ease of transport, the left arm of the "forks" being articulated to facilitate assembly. 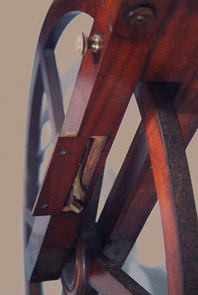 The original brass spanner housed in a sliding compartment to the left leg.The six spoked wheel with metal rim. Used for accurately measuring longish distances in Civil Engineering AND FOR ACCURATELY MEASURING RACETRACKS. 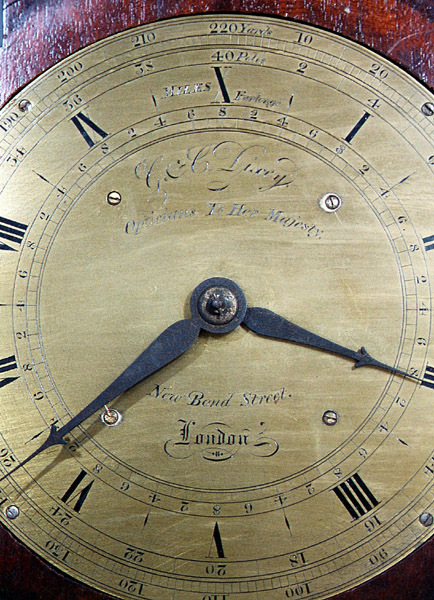 Finely engraved brass dial showing miles, furlongs, poles and yards.G & C Dixey Opticians to Her Majesty New bond Street London engraved to dial centre.Blued cut steel hands. Simple, accurate, movement, the principles still used today in the modern equivalent. G & C Dixey, New Bond Street, London.